Week 3 of the 2016 Tennis Victoria Winter Pennant will see our Grade 3 Ladies team play Essendon Tennis Club in the semis. The team of Lizzie Kalyvas, Zsofia Bende, Kaheina Aizel, Amelia Mills & Elizabeth Filonenko defeated our other team in this section made up of Mikaela Hammond, Emily Tinker, Tamara Bajagic, Isabelle Papazyan, Talia Pati & Chloe Green to reach the semi-final. The Grade 2 ladies team lost to Royal South Yarra in the semis in a tightly contested match. Our team consisted of Brooke Starling, Madeline Skaras, Lara Slisko, Helena Spiridis, Colleen Carney, Jordana Dymond and Michelle Bradbury. Good luck to the Grade 3 ladies this weekend. B Special 1 Open S/D Rubbers: Geoff Shallue, Kon Ignavictius and Ross Johnson. B Special 1 Men’s Rubbers/Sets: Peter Gillieron, Bill Jordan, Colin Grenfell, Jee Ten Fam, Mark Haseed and John Macaulay. A solid season from the guys but they have narrowly missed out on the finals by a few points. The step up to B Special 1 didn’t seem to bother the team too much as the they had many honourable performances during the whole season. Maddie Skaras is part of the MCC Grade 2 women’s team. 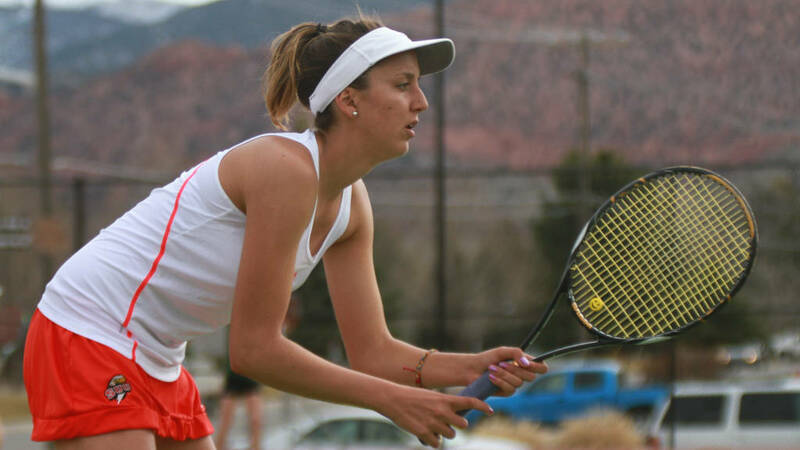 Maddie trained with Vida Tennis as a junior player before taking a scholarship to play college tennis in the USA.